A clock that shows your real time location via Android app. This clock is based off of Mrs. Weasley's magical clock in the Harry Potter series that shows the location of all of her family members and their current status (i.e. Home, Mortal Danger, etc.). The clock's hands move based on changes in the distance away from where it is. The current location of the users is detected via Android app using Google Maps. 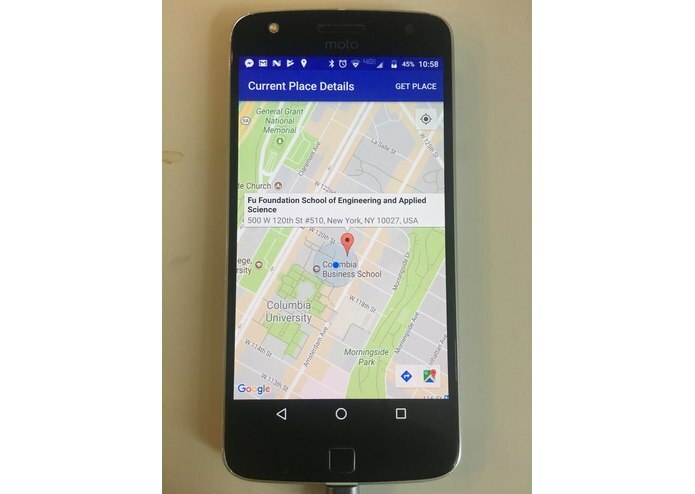 This is a useful tool to have in a variety of applications: family members can track each other's location, roommates can tell if each other are in the dorm, and it's a less intrusive way of conveying geographic information. The app is build using Android Studio and the Google Maps API, and the hardware capabilities of the clock use an Arduino and servos. 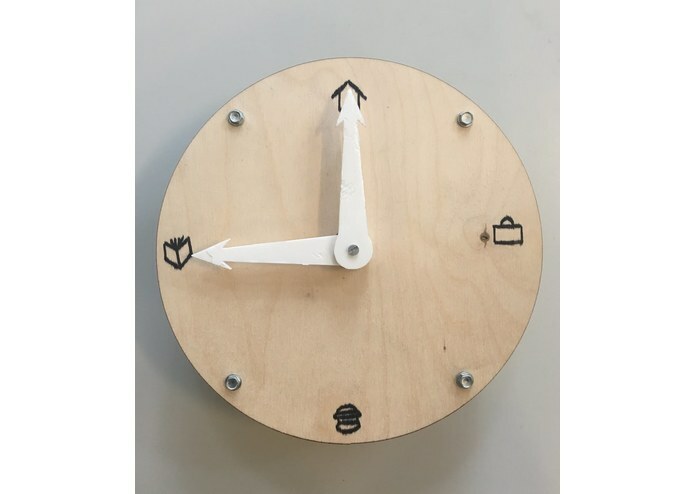 The clock was 3D-printed and laser cut. It was difficult to integrate the Android app and the Arduino because we ran into problems with using the WiFi shield. Much of the technology we used was previously unfamiliar to us, therefore there was a steep learning curve in almost all aspects of the project. Previously we did not have experience with Android Studio or using the WiFi capibilities of the Arduino, so that was a learning experience. We also didn't have experience making gears in Solidworks, which we had to learn in order to get the clock hands to move. We would like to further integrate the Android app with the clock and make it more sensitive to location.